According to Skinner (2012), requesting, or manding, is typically the first communicative response form taught to a person who has limited communication skills. Manding uses the principle of motivation to produce an immediate benefit for the speaker and more generally, teaches the value of communicating to others. Following the use of a preference assessment, a contingency is set up that requires the learner to communicate the ‘wanting’ of an item. Upon making the request through the appropriate form, the learner then immediately receives access to the requested item. This contingency is taught through practice repetition of only providing access to a preferred item/person/activity/ environment upon the request being made by the speaker. Once manding becomes a skill in the learner’s repertoire, the door now opens for additional verbal behavior modalities to be taught. 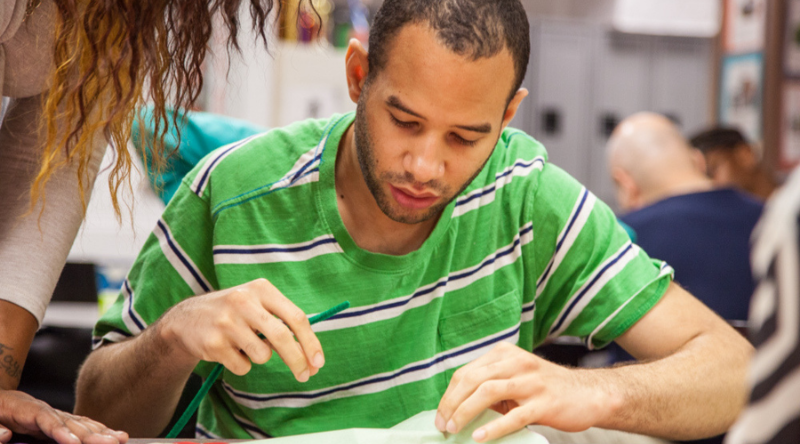 Learn more about S:US’ work with adults with intellectual and developmental developmental disabilities.